What a Sporty vehicle with LOADS of space! The Hyundai Elantra is a great vehicle sporting a manual transmission, and some great options! If you are looking for a vehicle under $10,000 LOOK NO FURTHER! We know this won't last. Very well maintained and looking for a new home. Give us a call today to arrange a test drive! Features: 16-inch alloy wheels, six speakers, cooled glove box, cargo-area power outlet, illuminated vanity mirrors, driver’s seat lumbar support, leather-wrapped steering wheel, power sunroof, rear spoiler, fog lights, body-colour mirrors, tilt and telescopic steering wheel, Bluetooth connectivity, windshield de-icer, and trip computer, air conditioning, anti-lock brakes with brake force distribution, front centre console with storage box, active front head restraints, heated seats, power heated mirrors, keyless entry, driver’s seat height adjuster, and cruise control. 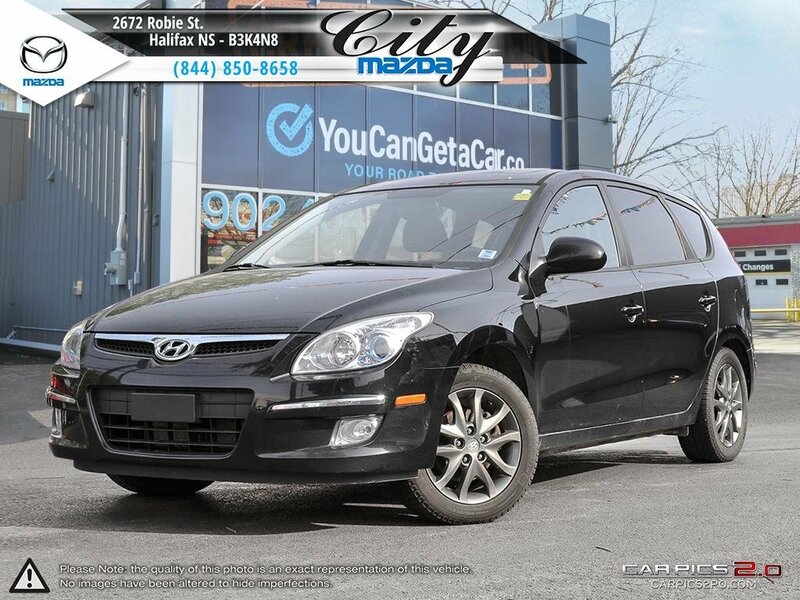 We at, City Mazda and, You Can Get A Car strive for excellence and customer satisfaction. We are a locally owned, independent dealership that has been proudly serving the Maritimes for 30 years and counting! Every retail checked vehicle goes through an extensive inspection process to insure the best quality and standard we can offer. Our MVI ONLY vehicle line up also goes through a standard but very thorough inspection. Our financial team can offer many different options to fit any need! We look forward to earning your business and become your “One Stop Shop” for any and ALL of your automotive needs! Find us on Facebook to follow our events and news! Ask about our FAMOUS maintenance plans! Contact us today, we welcome you to the ZOOM ZOOM family in advance; trust us, you will not be disappointed!